EXHIBITION OF STYLE, DESIGN AND CUSTOMS. 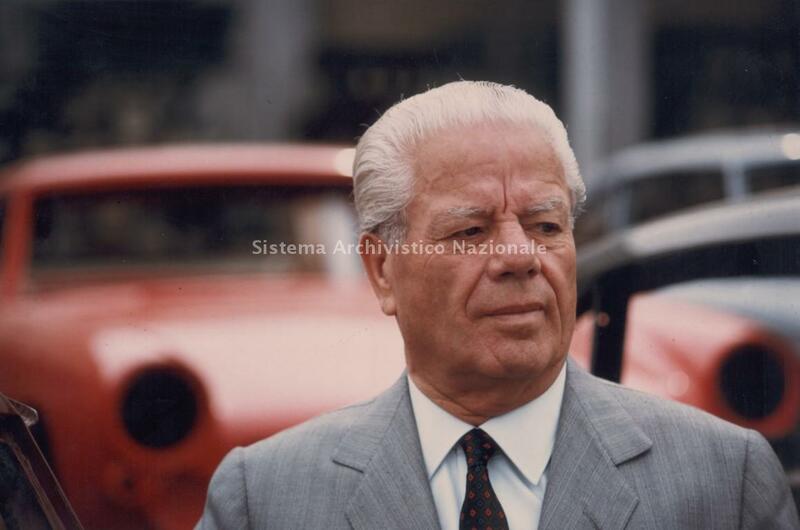 The maestro himself, BATTISTA FARINA, was the director of this exhibition which was part of the overall international fair being planned for Torino during the summer of 1961 called ITALIA 61. Click HERE to see more pictures of this unique Tjaarda monorail train. 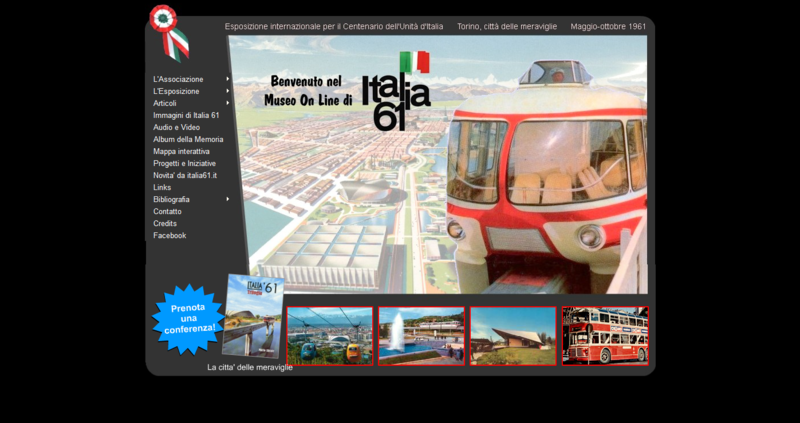 ITALIA 61 was a huge success and took place during an important phase of Italy's emerging from the bleak period after the Second World War into a new and positive attitude and economic prosperity. "The Economic Boom" as they called it, and everyone seemed happy and full of enthusiasm for the future. 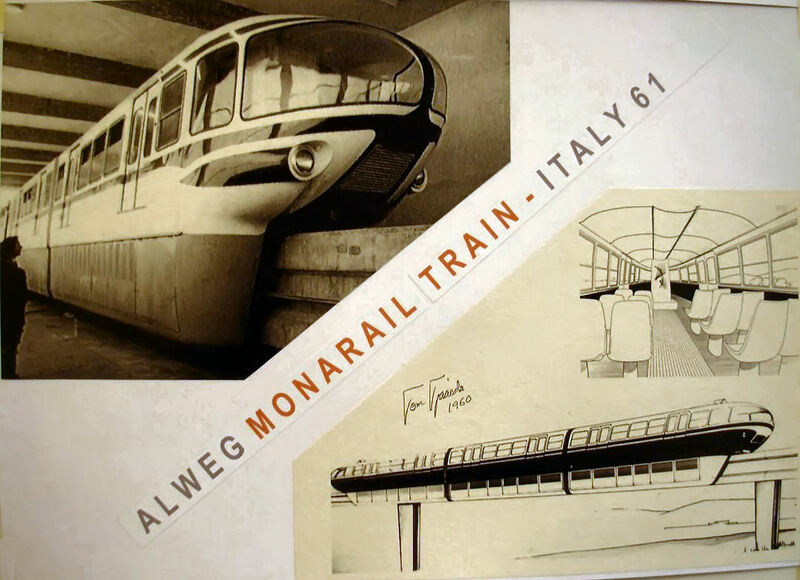 While at Ghia, Tjaarda was sent to Germany during August of 1960 to work on the design of the exterior and interior of a monorail train which was to be constructed on the Italia 61 fair grounds. This ALWEG-BAHN ran the full length of the site and over an artificial lake. Tjaarda worked as a consultant for six months with the famous architects GABETTI & ISOLA and was responsable for helping design and fabricating all the scale models used to build the final full scale exhibitions.